Strawberry. Concord grape. And Bob Seger. I am the daughter/granddaughter of my father and grandfathers. I am toast eating whiskey drinking Bob Seger listening fool. 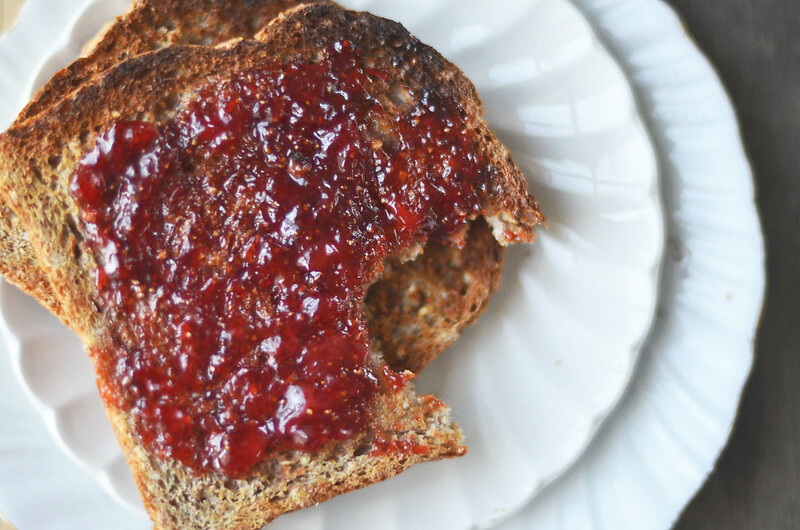 And then toss in a bit of my grandmas…and I am making the darn jam to spread on the toast. I am the culmination of decades and generations before me. Wash and pat dry the berries. I am weird…I love living near an airport. A bit of lemon juice to balance out the flavors. I had intended to use a bit of zest (and in the first batch, I did) and it turned out to be too lemony. So just the juice. Put the zester away. And from here…sugar is added along with heat and patience and before long…JAM! Sorry for the lack of pictures on the cooking process, but hot sugar, cameras, and my clumsiness isn’t something I would like to expose the world, my camera, or my fingers to. Makes about 12 ounces of jam. Place a small plate into the freezer (it will be used to test the done-ness of the jam) and have 2 to 3 glass jam jars at the ready. 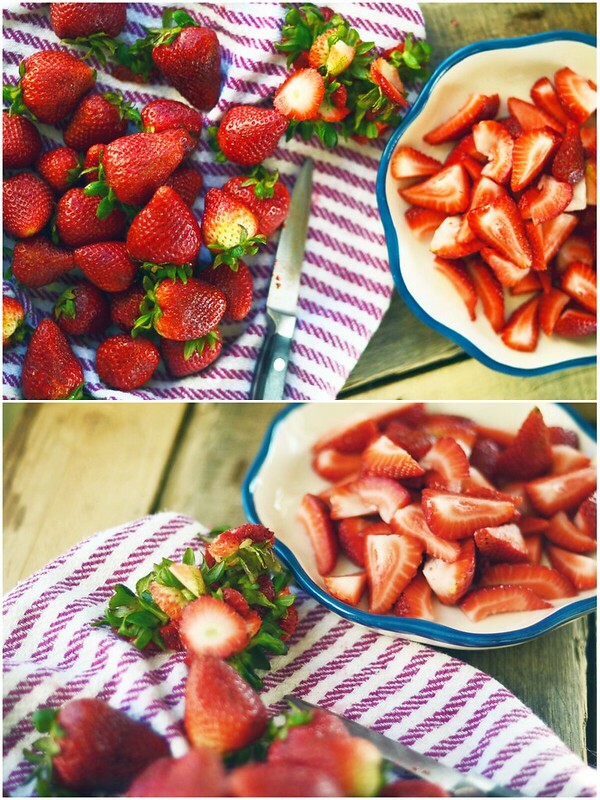 Wash and hull strawberries. 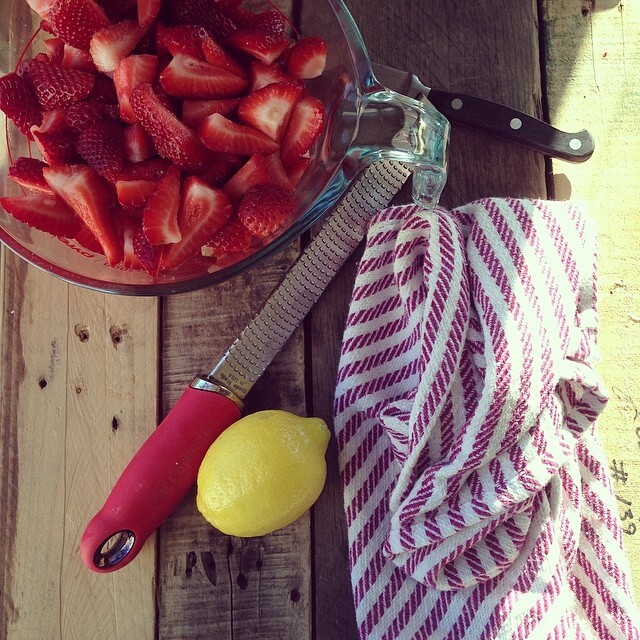 Slice strawberries into quarters. 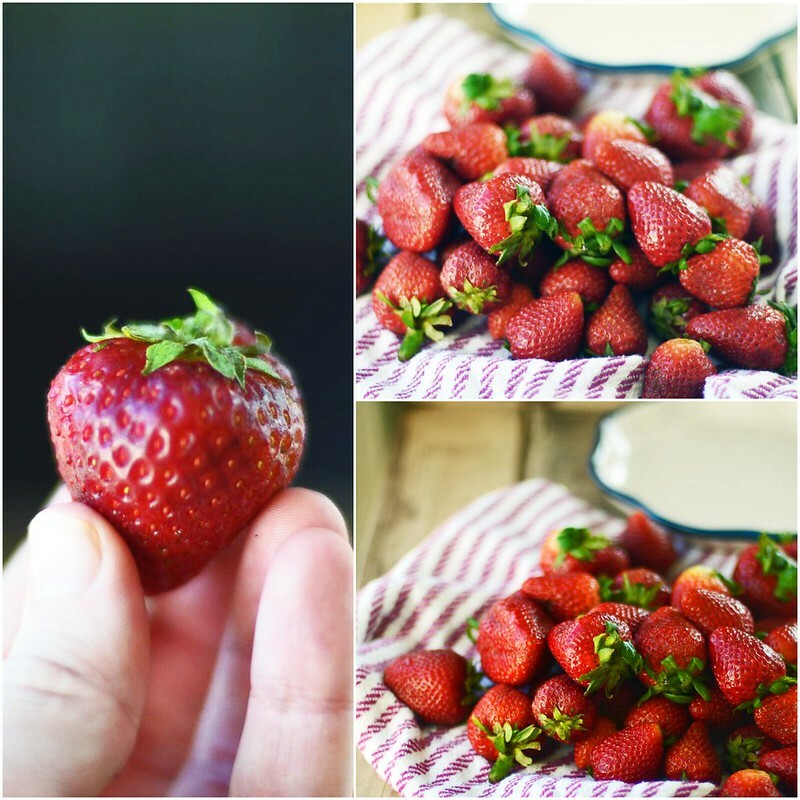 Place strawberries, sugar, and lemon juice into a large heavy bottomed pan. Toss to combine. Place over medium-high heat and begin to cook mixture. Bring to a rolling boil, stirring frequently. Cook until mixture reaches about 220F or when you drop a bit of jam onto the plate in the freezer it doesn't run when the plate is tilted. 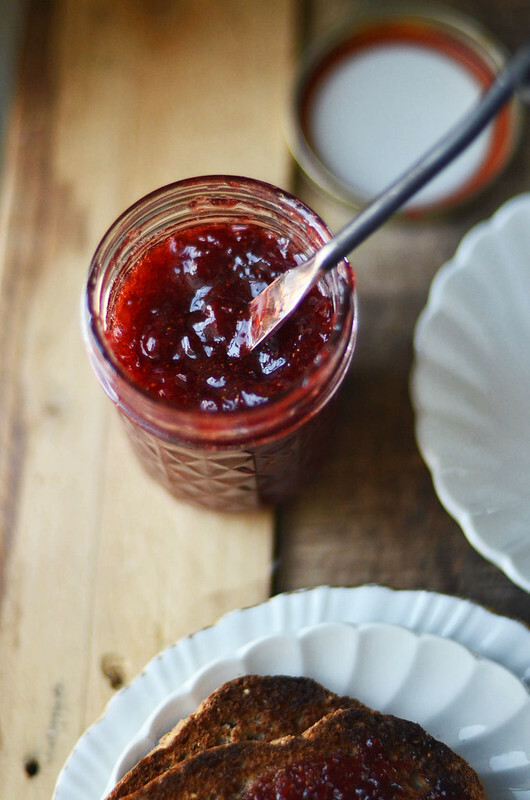 Remove from heat and carefully pour jam into glass jam jars. Secure with lids and let cool on countertop. Place in refrigerator once cooled. Will keep in refrigerator for up to 3 to 4 weeks. If you do not plan on eating the jam in that time frame, you should consider processing the cans to create a seal. 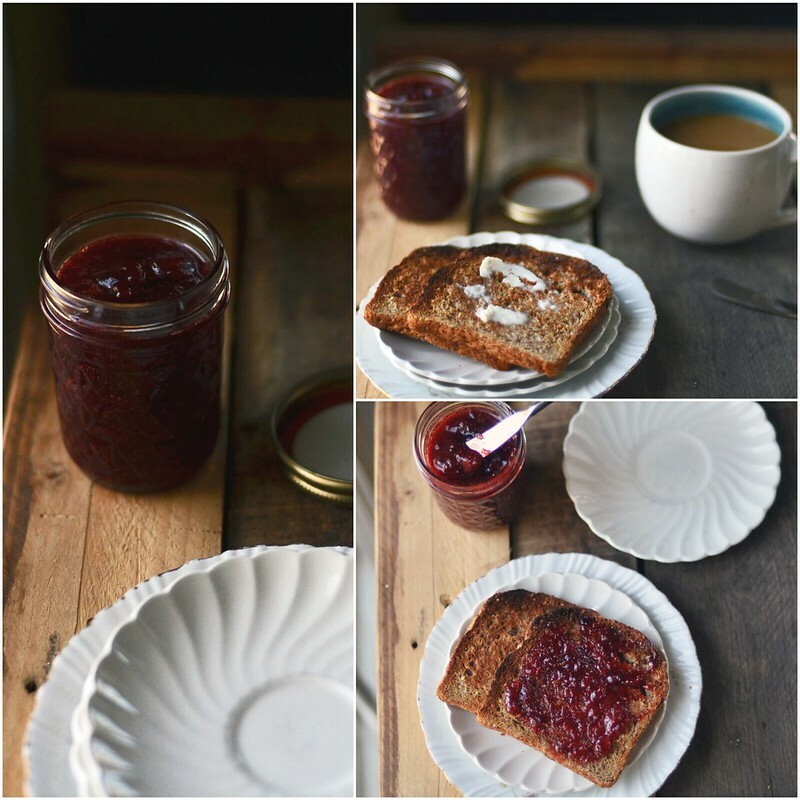 need a place to learn about canning?…Food In Jars.